The magnetic alloy, “alnico,” is an acronym of aluminum, nickel and cobalt, the three main elements in this mid-grade permanent magnet. Some characteristics of alnico are that it is hard, brittle, has a low coercive force, excellent temperature stability, high residual induction and fairly high energies. Alnico Bar Magnet – Adams Magnetic Products Co.
Alnico magnets, in addition to their composition of aluminum, nickel and cobalt, can also be alloyed with iron, copper and often titanium in order to create a magnet with a stronger magnetic force than all other permanent magnets (with the exception of the rare earth elements of neodymium and samarium-cobalt). More cost-effective than high-strength rare earth magnets and having higher magnetic force and permanence than ceramic magnets, alnico magnets are the perfect fit for a wide range of applications. 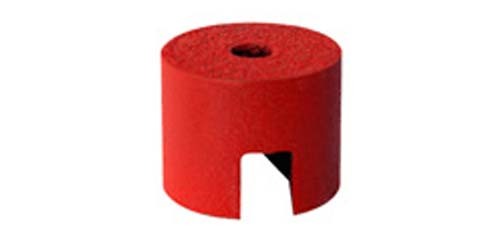 For instance, cow magnets are made exclusively from alnico, and alnico magnets are also used in sound amplification, electric motors, sensors and many sorting and lifting tools. In addition to these applications, alnico magnets are utilized in industries including instrumentation, research and music for electric guitar pickups, loudspeakers, traveling wave tubes and many others. 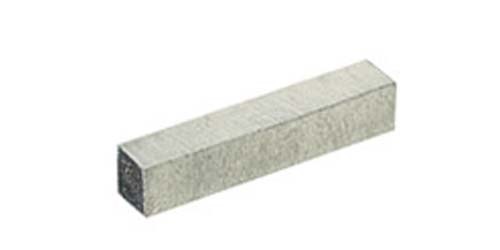 Alnico Magnet – Adams Magnetic Products Co.
Alnico magnets are similar to ferrite ceramic magnets but are less brittle, more easily fabricated into shapes, and have higher magnetic resistance. Being a metallic magnet rather than ceramic, they do not need always to be nickel-coated for structural applications like ceramic magnets do. Additionally, alnico magnets have medium-high magnetic force but relatively unstable magnetic permanence under corrosion or vibration, making them unsuitable for motor, water treatment and sound speaker applications. There are two main methods by which alnico magnets are fabricated: casting and sintering processes. The casting process entails heating up the alnico until it achieves a molten state, and then pouring the molten alnico into a mold. Once in the mold, the alnico is further processed by means of varied heat treating cycles. Cast alnico magnets offer the advantage of working extremely well in terms of magnetic capability, but suffer in terms of mechanical properties as they are often characterized by casting voids and hairlines cracks in the alnico. The sintering process, on the other hand, involves the manufacturing of solid parts, such as various stock magnet shapes like rods, bars, channels and horseshoes, from powdered materials that are heated to just below the melting point in order to cause particulate adhesion. Alnico Magnets Alnico magnets are a type of permanent magnet that is manufactured from a specific magnetic alloy for the properties that it contains.